Well another weeks gone by! Sounds like everything has been heating up at home, and it has been here too but luckily there have been some cloudy days this week and it rained a couple nights. We´ve been working with a lot of the same investigators this week but found some new ones too. Fernando (17 year old kid) needs to talk to his parents about some things before he gets baptized. 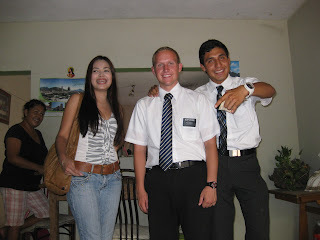 We have his baptism scheduled for this saturday and we´re going to visit him and his family a few times during this week. Tomorrow we´ve got it planned to help José Ramon get married and his baptism is scheduled for saturday too. 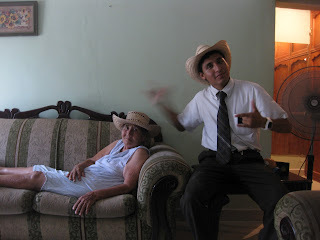 Both of them went to church on sunday and José is doing really well! He seems a lot happier and is excited to finally get married (after being with his esposa 25 years or something) and get baptized! We had a little transmision thing we watched last night in the stake center. It was some church leadership meeting that had been taped somewhere in Mexico and Elder Johnson spoke. It was pretty cool because they talked a lot about our need to show Christlike love unto one another. 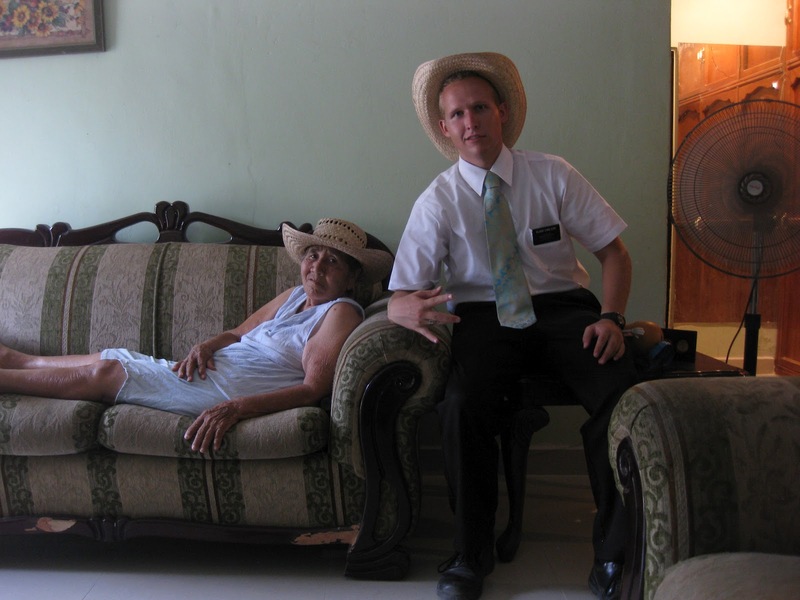 One of the big problems, especially in Mexico, is keeping the members of the ward active. Elder Johnson talked about how church leaders should always watch over their members and really concern about them. If somebody in the ward/quorum/group is having troubles whether it be family related, emotionally, etc we should be visiting them each week. There was a quote I really liked that said, ¨it´s impossible for a human being to deny an act of true love¨. When the people really see we love them and care about their well-being they´ll almost always, if not always, come back. Thanks for all the love, support, and prayers. Have an awesome week and enjoy your summer time! P.S. Some photos of E. Lopez and our friends. 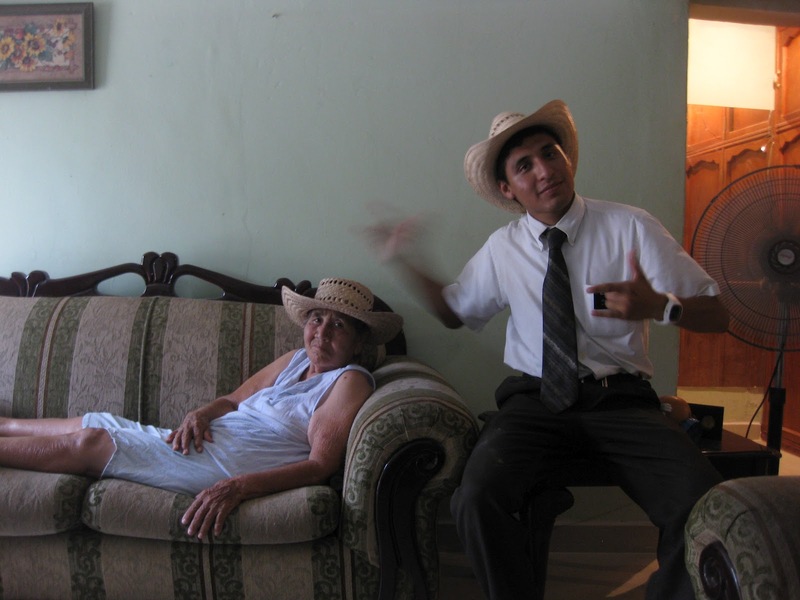 The last pic is with one of E. Lopez´s convert familys in a different area we visited today.